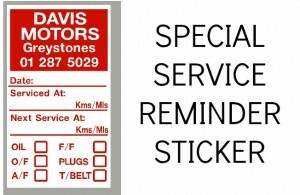 SERVICE REMINDER STICKERS….a very important item for every garage. 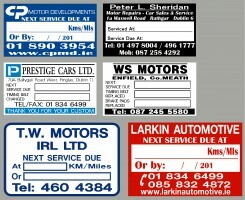 Not only are they an effective and inexpensive form of advertising, but they keep your customers coming back.Make use of our in-house design department to design a sticker for you.Timing belt reminders can be incorporated into all our service stickers if required. 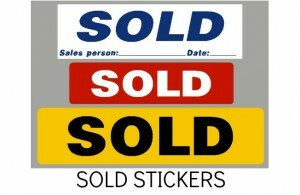 Available in 3 sizes, single or double sided and in any colour. 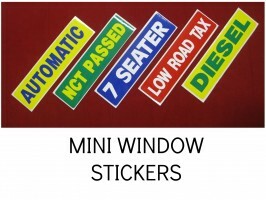 All double sided stickers have a light block panel so as the sticker is readable from either side when on the windscreen. 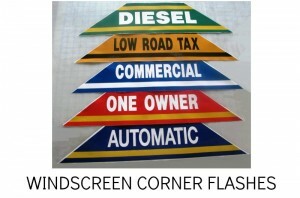 Beware of cheaper versions without this feature. 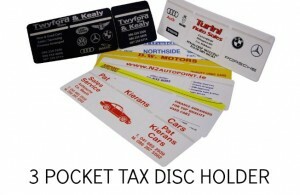 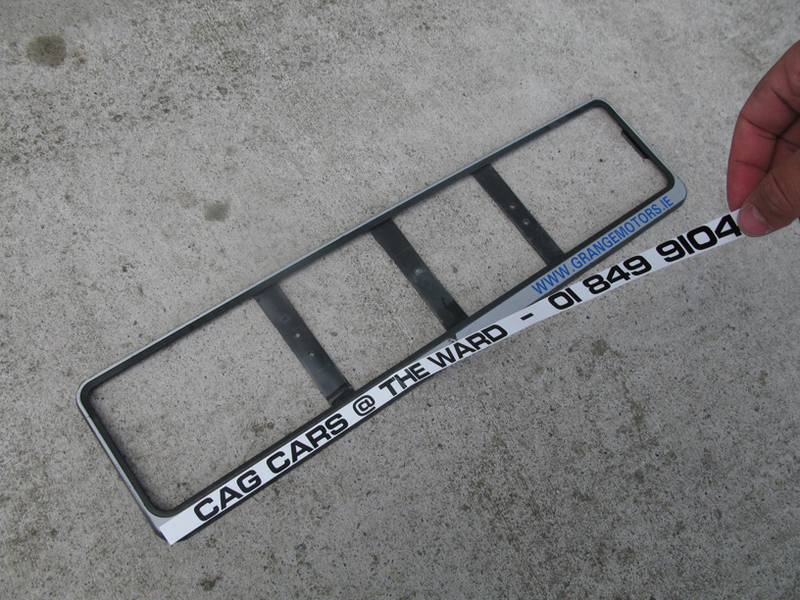 are specialists in cost effective showroom and forecourt display & advertising material, and point of sale products, such as visor price boards, window boards, windscreen corner flashes, key tags, key rings, roof signs, back window stickers, tax & insurance holders, reg plate surrounds, reg plate surround stickers, service reminder stickers, car data cards and mini window stickers. 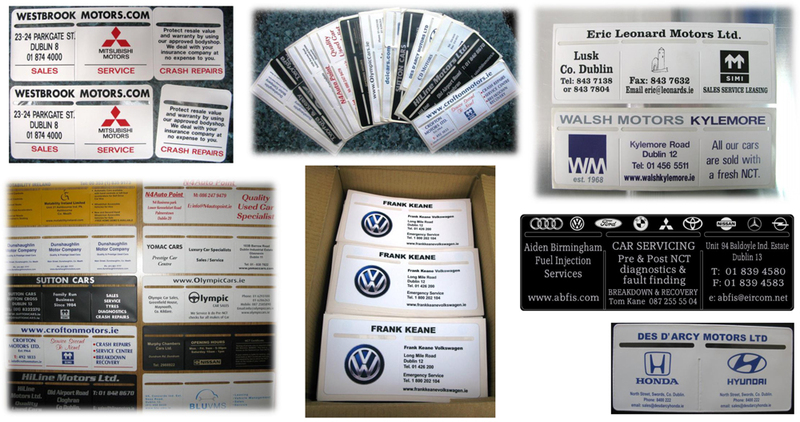 HiProfile offer a complete service from design, printing and manufacture right through to delivery and application or fitting where required.UNBRANDED PRODUCTS ARE AVAILABLE OFF THE SHELF FOR IMMEDIATE DELIVERY.HiProfile specialise in complete start-up packages and can offer excellent discounts, for example, we can supply Tax & Insurance holders, Rear Window Stickers and Number Plate Surrounds all branded with your details as a package for far less than if purchased individually. 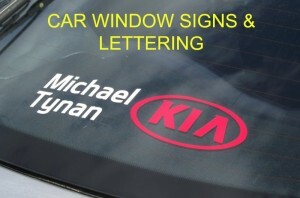 Rear window stickers OUR THIRD BEST SELLING PRODUCT! 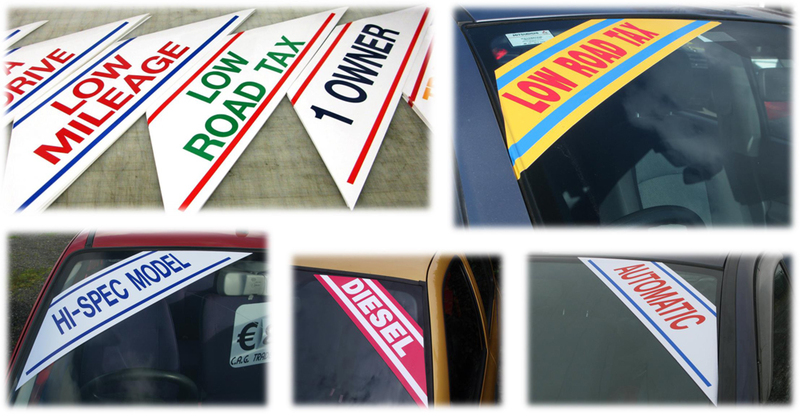 REAR WINDOW DEALER STICKERS, that ‘must have’ for every dealer, no matter how big or how small! 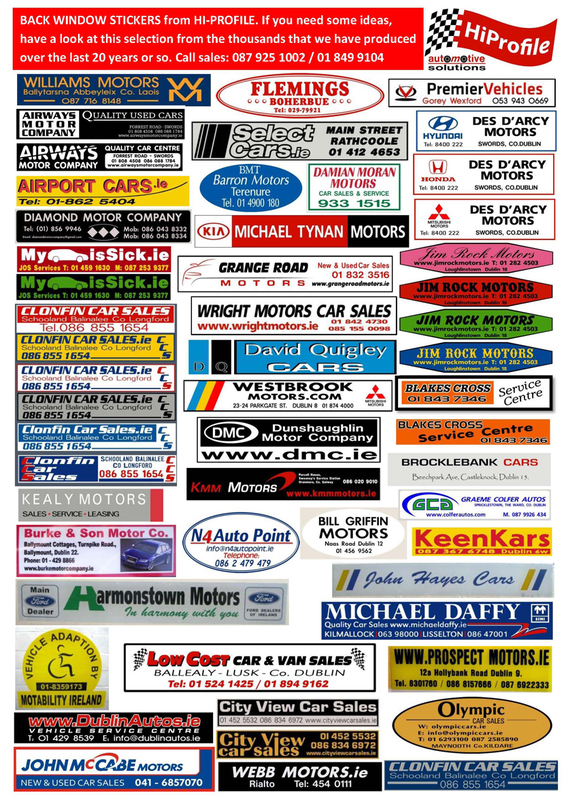 We offer an excellent design service and by placing an order with us you can avail of our experience of designing literally thousands of stickers for this purpose.All shapes, sizes and colours are available. 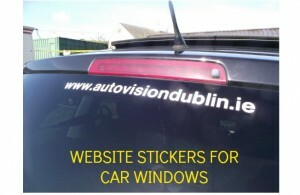 Obviously our expertise is not limited to rear window stickers, we can also supply any type or size of sticker to order in large or small quantities using the very latest digital printing equipment.Our pricing on printed stickers is exceptionally competitive, the turnaround time is fast and as always, our service is friendly & efficient.PRICE GUIDE:2 colour sticker, up to 50mm x 300mm, €190 for 250 or even better value €270 for 500, that’s just 54 cent each!3 colour sticker, up to 50mm x 300mm €330 for 500.Prices are subject to VAT @23%. 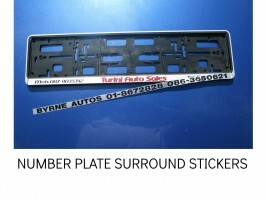 Please call us for a great quote on larger quantities. 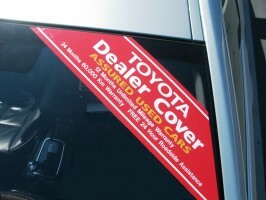 These quality self-adhesive vinyl stickers are a great way to add colour and interest to your showroom and forecourt displays, as well as providing vital ‘at a glance’ info for your customers. 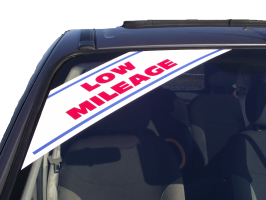 These can also be produced in your corporate colours.Size: 300 x 75 (12″ x 3″) Available in assorted colours, packed in lots of 10. 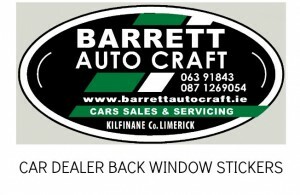 DIESEL, TURBO DIESEL, DIESEL, AUTOMATIC, AUTOMATIC HYBRID, PETROL, SCRAPPAGE AVAILABLE, €1000 MINIMUM TRADE-IN, FINANCE ARRANGED, TRADE-IN WELCOME, TAKE A TEST DRIVE, AIR CONDITIONING, 7 SEATER, NCT PASSED, NEW NCT, FULL SERVICE HISTORY, FULLY GUARANTEED, 4×4, COMMERCIAL, 3, 6 or 12 MONTHS WARRANTY, 1 OWNER ONLY, REDUCED, NEW ARRIVAL, LOW ROAD TAX, LOW EMISSIONS, SERVICED & GUARANTEED, QUALITY USED CAR, CAR OF THE WEEK, LEATHER, AWAITING PREPARATION, OR YOUR OWN CHOICE OF MESSAGE. 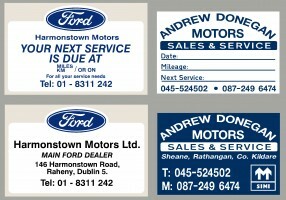 ‘WEBSPECIAL’ BUY 10 PACKS OF YOUR CHOICE FOR €99!